1. 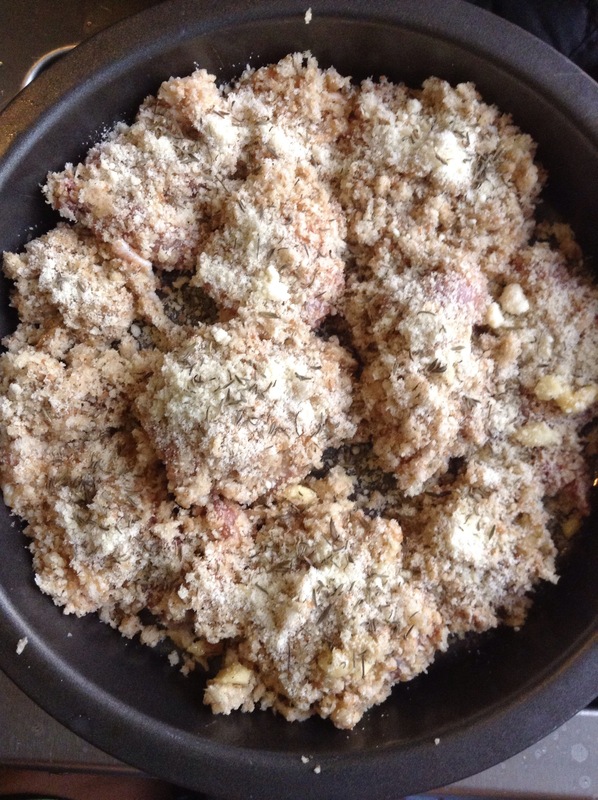 Mix together bread crumbs, garlic powder, ground pepper and parmesan cheese in a bowl. 3. In another bowl mix minced garlic with sesame oil. 4. 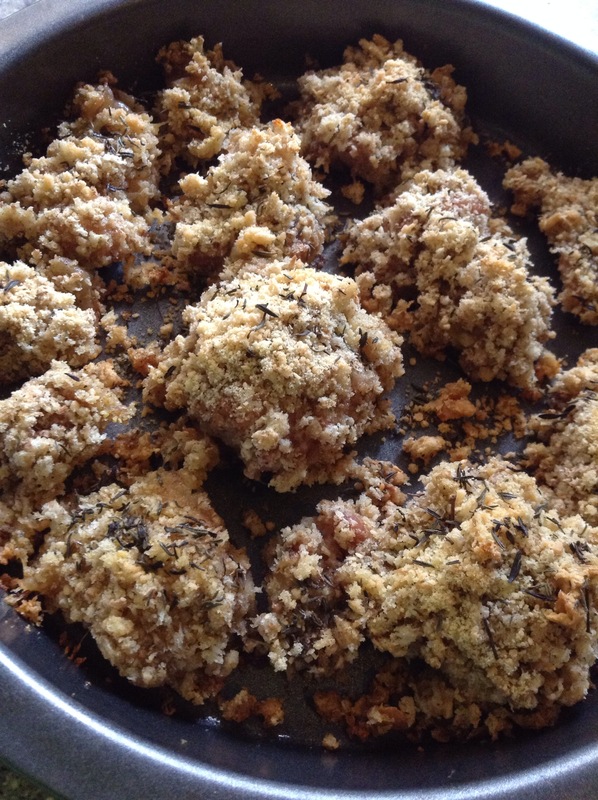 Dip each chicken fillet in the oil mixture then in the bread crumb mixture. 5. Put the coated chicken in a baking pan greased with sesame oil. 6. Baked for 40-45 minutes. Sprinkle with thyme.